Saudi Arabian authorities have arrested at least 11 princes, several current ministers and dozens of former ministers in a sweeping move against anti-corruption. Reports suggest that this move has been taken to consolidate the power of the son of King Salman bin Abdul-Aziz Al Saud. The arrests were ordered by a newly established Saudi Arabian anti-corruption committee with all-encompassing powers to combat corruption, Russian news channel, RT reported. The announcement for the arrest was made on Al Arabiya, the Saudi-owned satellite network whose broadcasts are officially approved. The arrest also included prominent billionaire investor Prince Alwaleed bin Talal who is in charge of the investment firm Kingdom Holding. Talal is one of the world’s richest men with stakes in companies like News Corp, Citigroup, and Twitter among others. According to a report in the New York Times, the prince also controls satellite television networks watched across the Arab world. The arrests came just a few hours after the king replaced the minister in charge of the Saudi national guard, Prince Mutaib bin Abdullah, who was in control of the last of the three Saudi armed forces, the New York Times reported. The King had also dismissed one of his top ministers earlier this year, Prince Mohammed bin Nayef as head of the interior ministry. He then placed the prince under house arrest, furthering the crown prince Mohammed’s influence over the interior ministry’s troops effectively the second armed force. The Anti Corruption committee was created on Saturday by a royal decree of King Salman. The decree appoints crown prince Mohammed Bin Salman as the leader of the committee, granting him powers to fight corruption. RT also reported that the committee is exempted from "laws, regulations, instructions, orders and decision" while performing its wide range of duties, namely "identifying offenses, crimes, persons and entities" complicit in corruption. The committee has also been given powers to take disciplinary measures against those caught red-handed. The action taken against the offenders could include the freezing of assets, travel bans and arrests. It is said that the Ritz Carlton hotel in Riyadh was evacuated on Saturday in order to house the detained royals. The New York Times report also mentioned that the airport was closed for private planes which stirred speculation that the crown prince is looking to block rich businessmen from fleeing before further arrests are made by the committee. 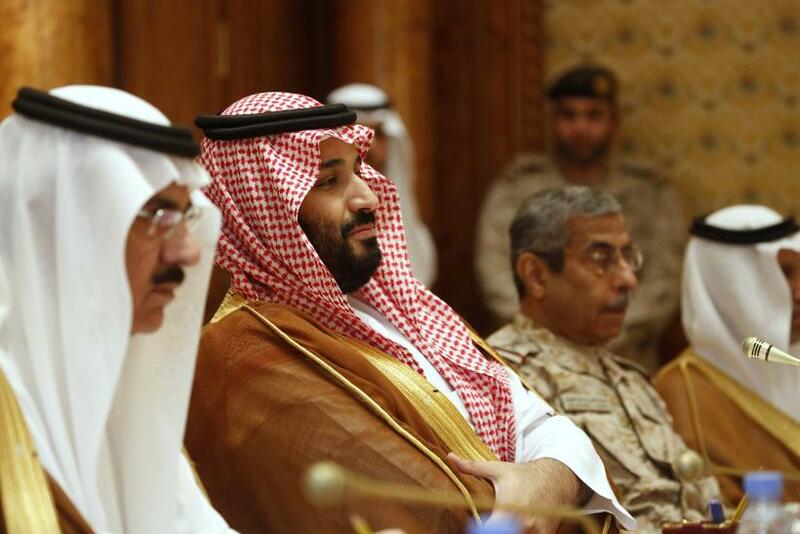 Reports state that even at such a young age, 32, the crown prince is already an overriding voice in Saudi military, social and economic and foreign policies. The Crown Prince is also said to have a warm and mutually supportive relationship with the President of the United States, however, his sudden rise to power has created a wedge between Saudis. While some applaud his vision and credit him for addressing economic problems faced by the kingdom, others see him as an inexperienced and power-hungry prince who is bypassing his elder relatives.